Change a Life through Music. Donate Today! Supports travel & field trip expenses. Covers tuition for one student. We are fundraising to keep a legacy alive and build brighter futures. 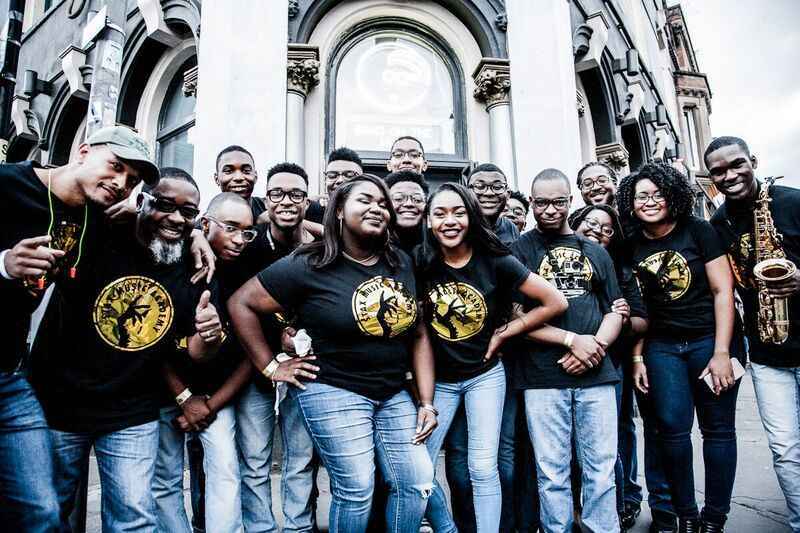 The Stax Music Academy (SMA) is a music instruction and youth development program with an intense focus on the rich legacy and tradition of Stax Records. We serve potentially at-risk 6th through 12th grade students throughout the Memphis area. Since 2008, every SMA high school senior has been accepted to a college or university. Through our program, students have taken soul music across the world by performing in places such as Italy, Germany, Australia, New York's Lincoln Center and Washington D.C.'s Kennedy Center. Approximately 70% of our students attend SMA via financial need scholarships provided by donors like you. No student is ever turned away for their inability to pay. I just heard about you on the PBS News Hour. Wow! Thank you for keeping the dreams alive for all of us. To my Stax Family, thanks for everything! Mary Howell was very passionate about the Stax Music Academy. This gift is to honor her memory.